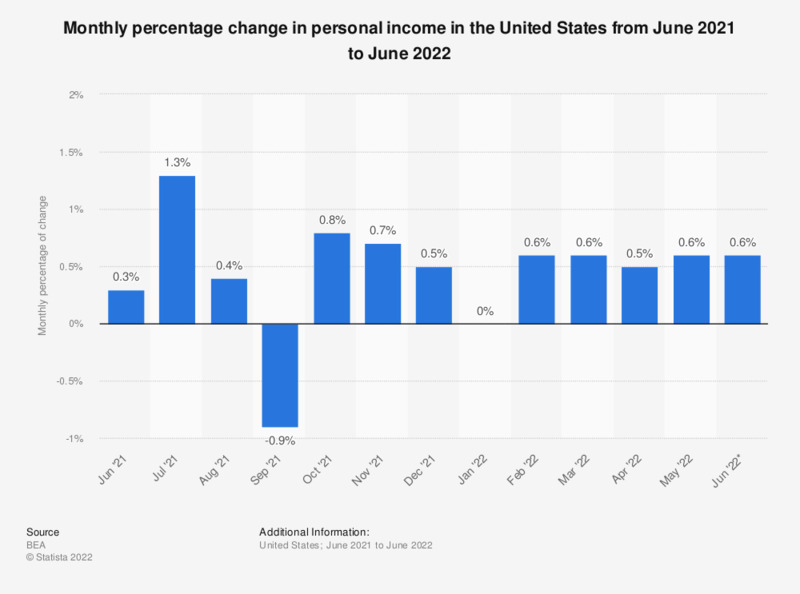 This statistic shows the monthly percentage change in personal income in the United States from February 2018 to February 2019. The data are in current U.S. dollars, seasonally adjusted at annual rates. According to the BEA, personal income is the income that is received by persons from all sources. It is calculated as the sum of wage and salary disbursements, supplements to wages and salaries, proprietors' income with inventory valuation and capital consumption adjustments, rental income of persons with capital consumption adjustment, personal dividend income, personal interest income, and personal current transfer receipts, less contributions for government social insurance. Personal income increased by 0.2 percent in February 2019 compared to the previous month.